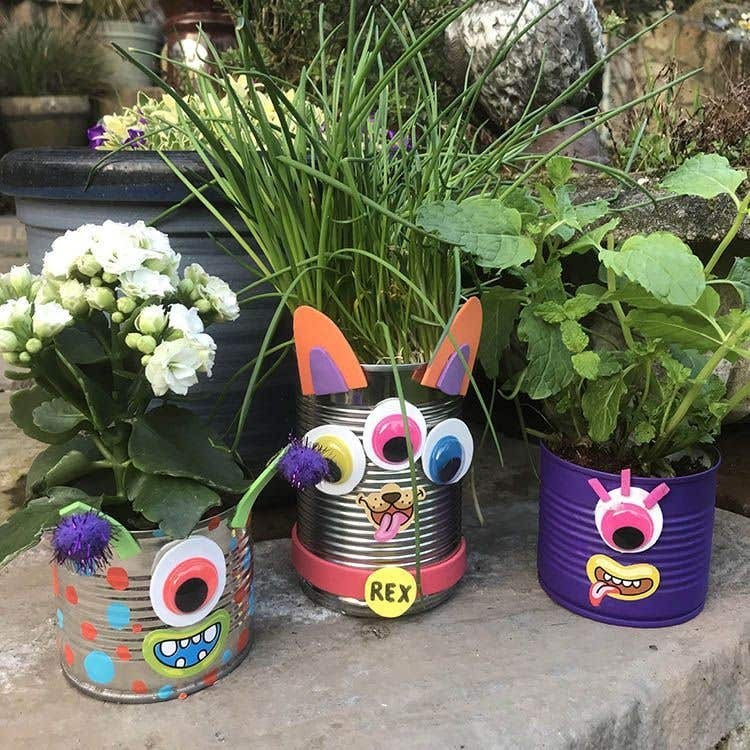 Kids will have great fun up-cycling tin cans into funky monster flower planters. Remove the label from an old tin. Wash clean with washing up liquid and warm water and wipe dry with a kitchen towel or tissue. Choose any colour(s) of your choice of deco acrylic paint and decorate the tin to create the body of the monster. 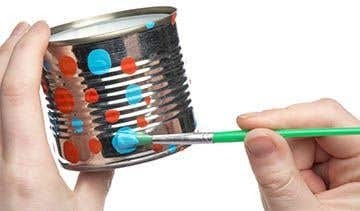 You can paint the whole tin a solid colour or you can decorate with spots or patterns. Leave to dry. Stick a coloured wiggle eye onto a sheet of white foam. Draw a circle around the wiggle eye slightly bigger than the size of the wiggle eye. Cut the circle out to make a big monster eye. If you want your monster can planter to have more than one eye repeat this step until you have the desired amount of eyes. 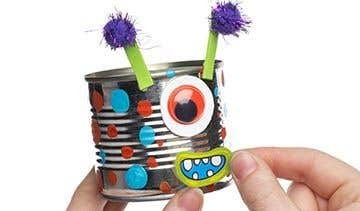 Attach the eye(s) to the tin using a glue gun or craft glue dots. Cut out two small rectangles from coloured foam to create antennae. Stick two glitter pom poms on top of the rectangles using glue dots. 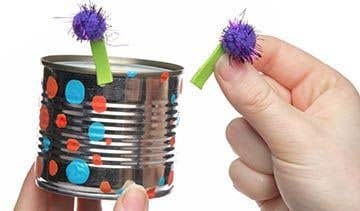 Attach the antennae to the top of the can using glue dots. You could also make some ears or spiky hair out of coloured foam too. Have a look through the selection of mouth stickers provided. Choose a funny mouth that will stand out well on your monster can and stick onto the tin. Place a small plant into the tin. If you are decorating the tin with spots or patterns, leave a space for the eyes and mouth to go so that they stand out better.